Below you’ll find our customers most frequently asked questions. If you can’t find the answer you’re looking for below please visit our contact page to get in touch. What sizes do the tubs come in? What are the main differences between our hot tubs and the typical acrylic spa pools? Deciding between our hot tubs or a typical acrylic spas depends mostly on personal preference and each individual situation. There are however many reasons for choosing one of our style tubs. The vertical walls and greater depth of our tubs surrounds the bather with more water than would be found in a acrylic spa, so there is a greater effect of buoyancy in the hot tub. As with typical acrylic spas with their molded seats, you are limited to this position only which some people may find uncomfortable. There is no freedom to float and sit in the position you desire. In addition, there is typically much more leg room since you can stretch out under the bench seats and taller bathers are more comfortably accommodated. Because of our hot tub’s greater depth, a smaller diameter hot tub will seat the same number of people as a larger plastic spa and a smaller surface area means less heating expense. And of course, there’s the rustic look of our tubs. From an aesthetic point of view, nothing matches the appearance of a Western Red Cedar hot tub with its pure, simple, natural looks that would look great in any backyard. Premium tubs (no internal cedar) – choice of having the seats coated in polyurethane (no extra cost) which means the tub water will be a lot clearer. Otherwise you can choose to have the seats left bare (no polyurethane applied) which means initially brown coloured water as a result of the natural cedar tannins. The water is still safe to bath in and is a natural process with all cedar. This slowly reduces over time. Premium tubs (with internal cedar) – only one choice and that is no polyurethane applied which means that the tub water will initially turn a brown colour as a result of the natural cedar tannins. The water is still safe to bath in and is a natural process with all cedar. This slowly reduces over time. What are the health benefits of a Paradise Hot Tub? The benefits of hydrotherapy have been known for thousands of years, ancient civilizations enjoyed bathing in hot water springs and hydrotherapy was born. Hydro massage, as we call it, is both physical and mental. There are three factors at work in a hot tub, heat, buoyancy and massage, combined they create a perfect environment that can be used to treat a number of ailments from arthritis to minor sports injuries. Immersing your body in hot water raises the body temperature causing the blood vessels to dilate, resulting in increased circulation and endorphins, your own natural painkillers. It also helps reduce blood pressure and high blood sugar levels. Our tubs are deeper than conventional acrylic types, making you more buoyant, you lose over half your bodyweight, relieving pressure on joints and muscles, creating a relaxing sensation you can’t get in a normal bath. The massaging action in the water is created from the bubble bench and jets positioned in tub, these send a mixture of warm water and air through the jet nozzles, gentle massaging away all those aches and pains caused by the daily stresses of today’s fast pace of life. Simply soaking in a hot, swirling, tub will, we guarantee, leave you mentally and emotionally relaxed. Twenty minutes in the morning can give you a fresh start and a long soak before bed can help improve sleep. A hot tub is something you’ll want to experience every day, relaxing in your own garden. We can’t think of a better way to unwind at the end of the day. What do I need to be able to site the tub? Ideally, the tub should be placed on a firm foundation such as a concrete or wooden pad. Paving stones or gravel/scoria stones with a firm base underneath are also ideal. Please visit our Preparation webpage for more info. The water is filtrated through a 50sqft cartridge filter that comes with all our tubs. We include and recommend our Silver Cove natural spa pool sanitiser which is a chemical free water treatment product. Please visit our Maintenance webpage for more information. How difficult is it to operate? Detailed instructions all included. Wi-Fi (optional extra) which enables easy, more user friendly control through your phone app. Outside of our tubs are finished off with a Haarlem Danish Oil which is a premium quality New Zealand made wood oil sourced from natural renewable resources (tung oil which is pressed from the nut of the tung tree and vegetable turpentine, which is extracted from Pinus trees) plus a touch of David’s “magic brew”. 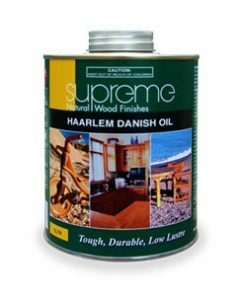 Haarlem Oil, a Danish Oil, is designed to soak into the wood, curing to a tough durable finish, while creating a warm, natural, low lustre. What is a safe temperature for the water? Typically most people feel that 38 – 41 C is a comfortable temperature. How do I empty the tub? A drain fitting is located in the bottom of the tub wall beside the bottom suction fitting with an external drain valve and garden hose connection that comes all supplied for draining. The water is safe to drain onto your garden if using the chemical free SIMPLE SILVER water treatment option. Our tubs (premium and premium economy models) come with the top of the range American made AquaSunOzone ozonator. The technology developed by AquaSunOzone allows to efficiently eliminate the residual impurities present in the water of your spa. It enables you to use less chemical products and facilitates the maintenance of your water while keeping an optimal purity and quality. The XL80 is simply the best ozonator of the AquaSunOzone range. It is differentiated by its integrated ozone injector. Water enters straight into the ozonator, gets charged with ozone and flows out of the circulation system. How much does it cost to run the hot tub? Generally speaking around $2 a day depending on usage. Because of our thick insulated tub wall and the high quality New Zealand made heat retention cover that our tubs all come with, our tubs have the same if not cheaper running costs to an acrylic tub and cheaper running costs compared to a fully cedar hot tubs . What is the lead time time? Generally around 2-4 weeks time from the 25% deposit payment depending on current orders. Do you supply a lockable cover? Yes. A New Zealand made compliant, hard, lockable, heat retention cover is included with all our tubs. Complies with New Zealand safety standards. Standard supplied colour is black. Other colours available on request. What are the council regulations? Because our tubs all come with a lockable compliant cover, our tubs are all compliant and don’t require any fencing but best to check with your local council to be sure if you wish. Do you offer finance to pay the hot tub off? Finance is available through Gilrose Finance. What are your freight prices and can you supply overseas? We can ship our hot tubs anywhere in New Zealand and Australia. For the exact costings, please fill in the get a quote form.